Psoriasis is a chronic autoimmune disease that appears on the skin as spots, raised patches, scales, or lesions in a variety of shapes and sizes, and in different locations of the body. It is a condition that triggers the inflammation of T-cells ( a type of white blood cell), which then causes the skin cells to grow faster than normal, and to pile up in raised patches. Though it can look threatening, psoriasis it not contagious. The five types of psoriasis are plaque (the most common), guttate psoriasis, inverse, pustular, and erythrodermic (the least common) psoriasis. Symptoms common to all the types are itchy, dry, cracking skin; swollen joints; red patches; silvery scales, and even lesions. Who Gets Psoriasis in Seattle & Issaquah and Why? Many medical practitioners agree that family history is the most significant of all the risk factors. About one-third of people with psoriasis have at least one family member with the disease. What Are the Treatment Options in Seattle & Issaquah, WA? Topical treatments include over-the-counter ointments and creams containing salicylic acid and tar, and topical steroids. Phototherapy, or light therapy, is prescribed for a number of different skin conditions. It involves exposing the skin to ultraviolet light in a controlled environment. During PUVA therapy, photoactive substances called psoralens are applied topically or administered orally; exposure of the narrowband UVB in a controlled environment assists in bringing back the pigmentation. Laser treatments in Seattle & Issaquah can be effective in treating symptoms related to psoriasis are the excimer laser and pulsed dye laser. Systemic therapy is typically used for individuals with moderate to severe psoriasis and psoriatic arthritis. The most common systemic medicines for treating psoriasis are Acitretin (Soriatane), Cyclosporine, and Methotrexate. Biological drugs, or biologics, are used to treat both psoriasis and psoriatic arthritis. They are protein-based drugs from living cells that target a specific type of immune cell, the T cell, or proteins in the immune system that play a part in the development of psoriasis. Please contact Issaquah Dermatologist Dr. Michalak to set up a consultation or if you have any concerns about the risks or cost of psoriasis treatment. 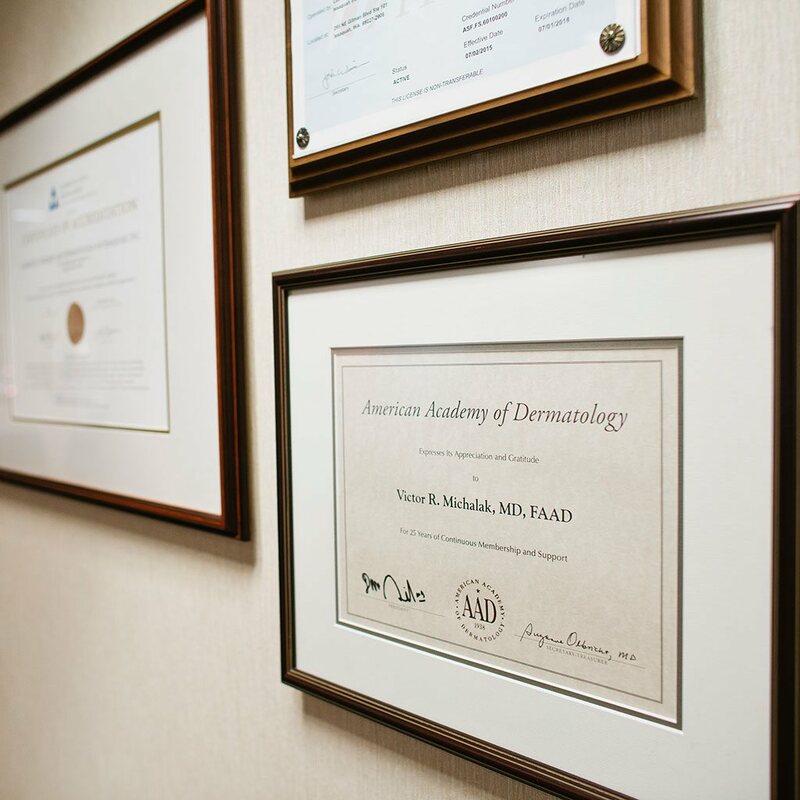 He is board certified by the American Board of Dermatology and is a fellow of the American Academy of Cosmetic Surgery. Please dial 425-391-2500 to make an appointment.